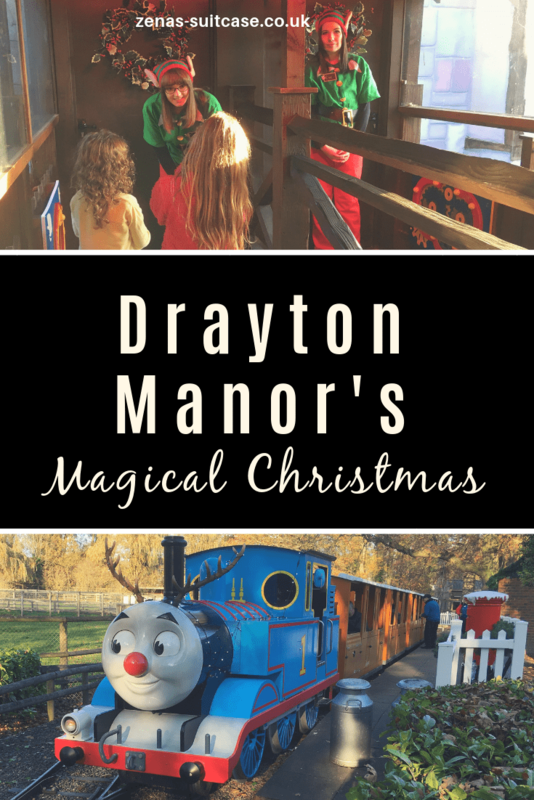 Drayton Manor’s Magical Christmas is back for 2018 and it’s the perfect day out for the festive season. We took Indie, 6 years old, and Brook, 4 years old, back to Drayton Manor Park after a 2 year break. I’m really not sure why we left it so long as it’s always been one of our favourite days out in the East Midlands. Indie and Brook were beyond excited about their day out before they even got through the turnstiles. There was a lot of singing, dancing and running and that was before we even got near a Thomas Land ride. Drayton Manor is the perfect day out for Christmas for young kids as the main event is visiting Europe’s only Thomas Land. The thrill rides are closed for the festive season but you can visit Drayton Manor Zoo, pop and see Santa in the Castle of Dreams, enjoy the latest film to hit the 4D cinema and even go ice skating. One ride that is probably more towards the thrill spectrum that is open is The Accelerator. We have known for a while now that Brook is a bit of a daredevil. She wanted to give it a go, and I volunteered to be the accompanying adult. We sat at the front! Oh my word is all I have to say. I’m not cut out for these kind of rides anymore. As the cars reversed up the ramp, remember we were sat at the front, I closed my eyes and that’s how they stayed for the entire ride. If I hadn’t of been holding the hand of a 4 year old there would definitely have been a few expletives filling the cold November air. Brook, however, loved the entire thrill packed 3 minutes and stepped off The Accelerator beaming from ear to ear. I can only see her love of rollercoasters growing and me having to keep my eyes closed more and more as the years go on. I think I’ll be holding onto more than my hat if I’m honest. We passed the musical Christmas tree and headed towards Thomas Land where the rides are aimed at nervous Mummy’s and small children. The beauty of Drayton Manor’s Christmas is that the queue wait times are dramatically reduced. I don’t think we waited more than 5 minutes to join any rides throughout the day, which helps for keeping everyone in the best mood doesn’t it? If a little Thomas fan was to create his or her perfect Island of Sodor I honestly think it would look like Thomas Land. The rides bring so many of the characters to life and there’s a lot of variety too. We haven’t been to Thomas Land since the new ride, James and The Red Balloon ride opened. The girls were also tall enough to go on this ride without an adult, so we could watch them have the best time. 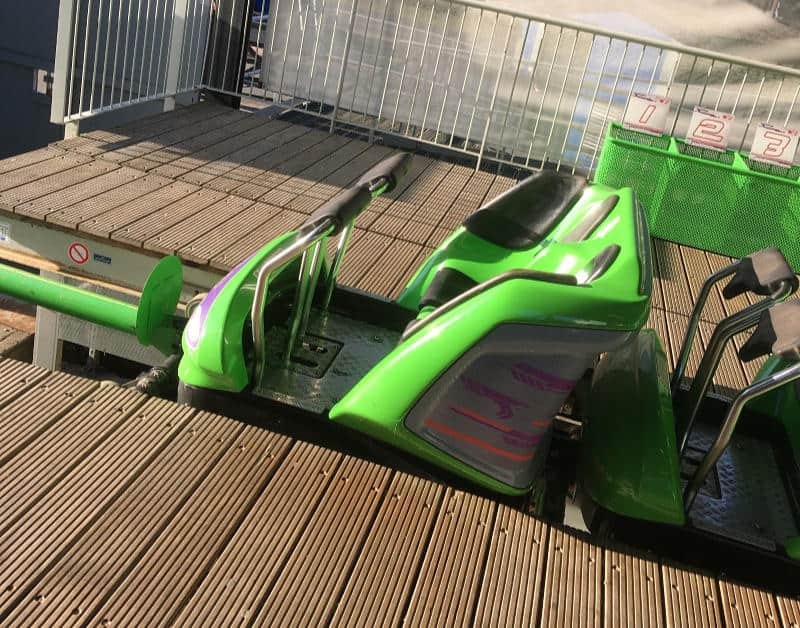 Being able to go on rides without an adult is a huge milestone for young children. You could see them just beaming from ear to ear as their imaginations were in overdrive about flying off in big hot air balloons. It was a delight to watch. There were of course some of our old favourites including Jeremy’s Jets and the Blue Mountain Engines which were also big hits with both the girls. 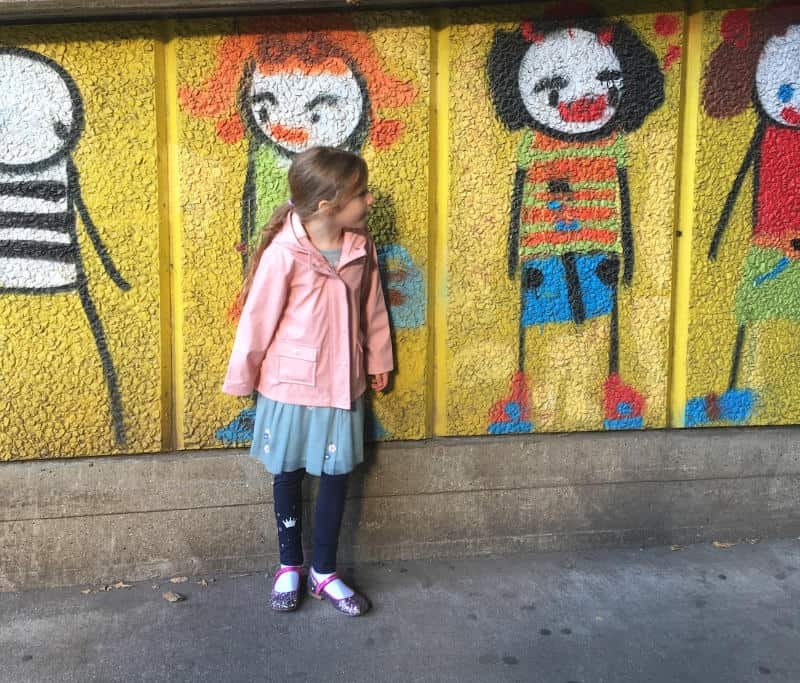 It seemed that Brook didn’t really have strong memories of visiting Drayton Manor Park before, so for her in particular it was like she was enjoying the park for the first time. This did make for an incredibly special family day out to be honest. 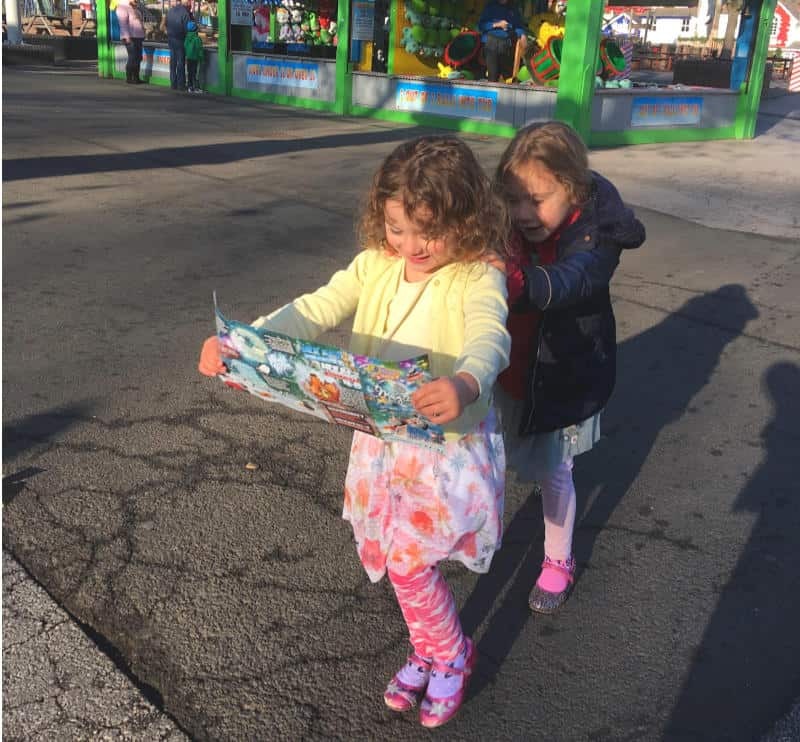 She just had the best day out, and so did her sister despite proclaiming she was to old for Thomas Land before she left the house. Clearly that wasn’t true! 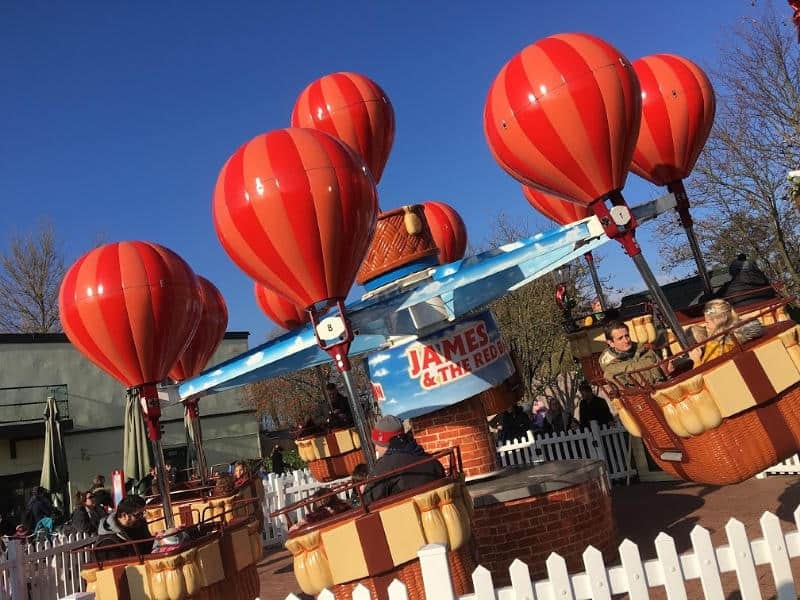 What makes Drayton Manor and Thomas Land such a lovely day out is the variety the park has to offer. 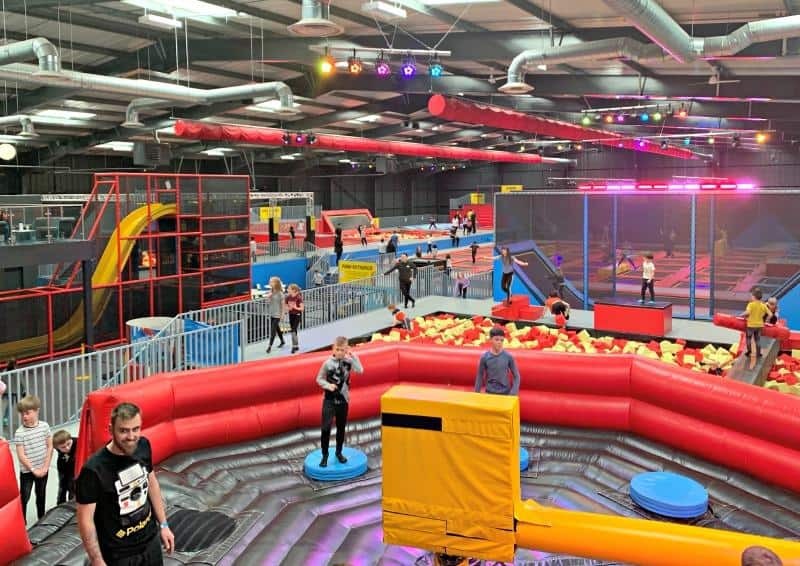 You don’t feel like you are just following the kids around as there’s lots of activities that you can enjoy together. We took a break from the rides and went to see what was new in Drayton Manor’s 15 acre zoo which we all enjoyed. They have a lovely collection at the zoo with keeper talks planned throughout the day. We particularly loved the red panda and the meerkats of meerkat manor. We had some adorable moments with the tamarin monkeys at the Tamarin Trail. One had a keen eye on Indie’s lollipop so was very happy to come to the front of his enclosure and say hello. 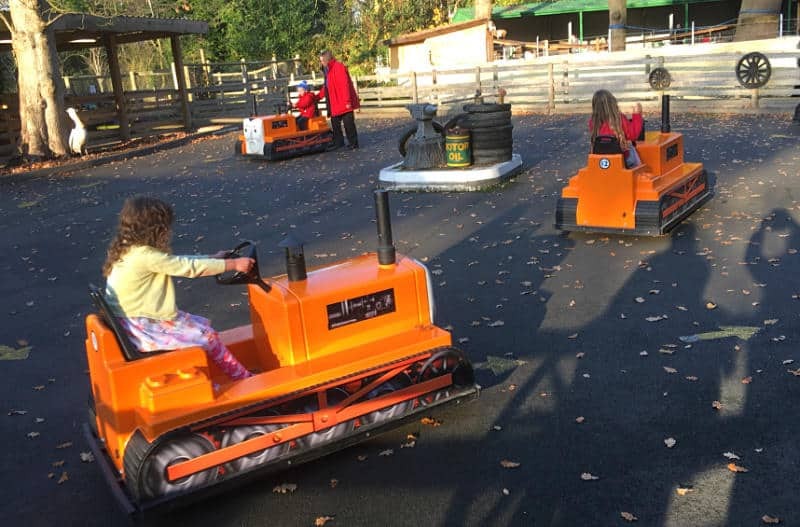 We stopped off at the refurbished playground so the girls could burn off a bit more steam before letting them lose at Terrance the Tractor’s driving school. If we thought it was going to stop them crashing into each other we should have thought again. 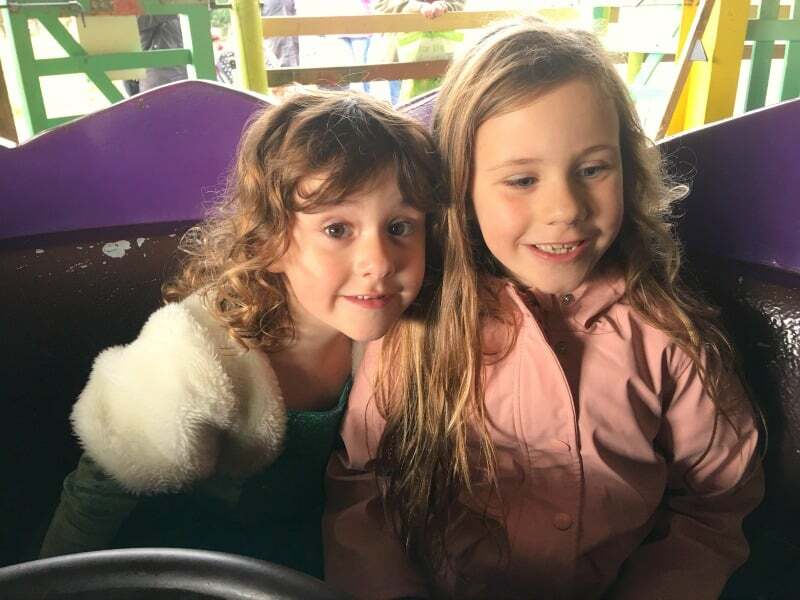 Brook is particularly mischievous and took as many opportunities as she could to change it to a more Dodgem type ride and crash into her sister. We caught Percy the train back to Thomas Land before going to visit Santa for a designated slot. The girls skipped along to the elves who had plenty of Christmas chat for them. They checked they were going to be leaving some treats for the Santa and the reindeers on the special night and prepared them for giving Santa a list of ideas for Christmas. Indie was a little bit shy, but on this occasion Brook was happy to do the talking for her which was a nice surprise. 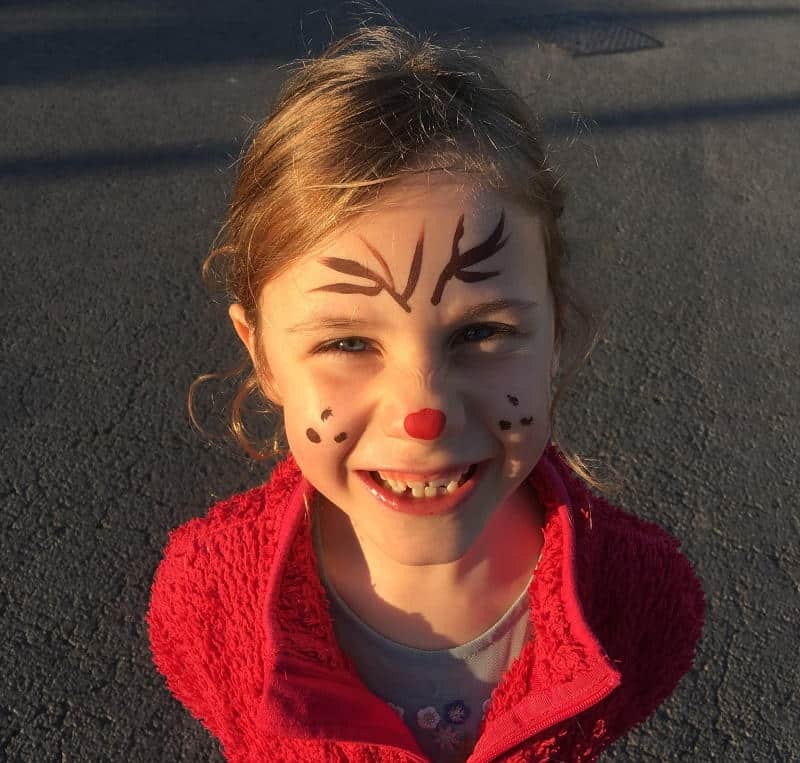 After a lovely visit to Santa, who gave both the girls a small gift too, we had a chance to buy some photos of the experience as well as have reindeer face paints and write a letter to Santa via the Percy Post. They were lovely touches to the festive experience especially for the younger children. We enjoyed a few more rides in Thomas Land and of course the sing-a-long with the Fat Controller above the station before Brook declared she was ready to go home. I think all the excitement had caught up with her and we didn’t quite make it to the festive parade and fireworks display. Maybe we will next year, but this time it was time to get the girl’s home for tea. After a very fun packed day out at Drayton Manor’s Magical Christmas we all slept well that night! 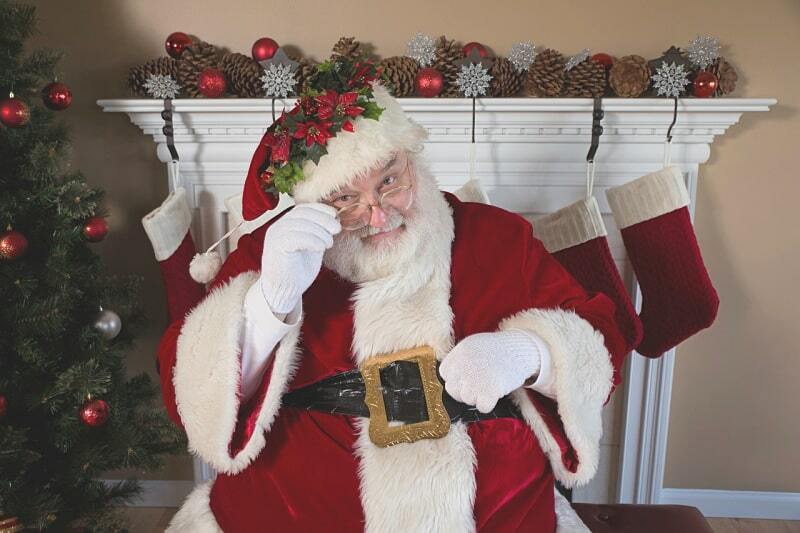 Drayton Manor’s Christmas Event is running between 17th and 31st December. Tickets vary in price depending on age. 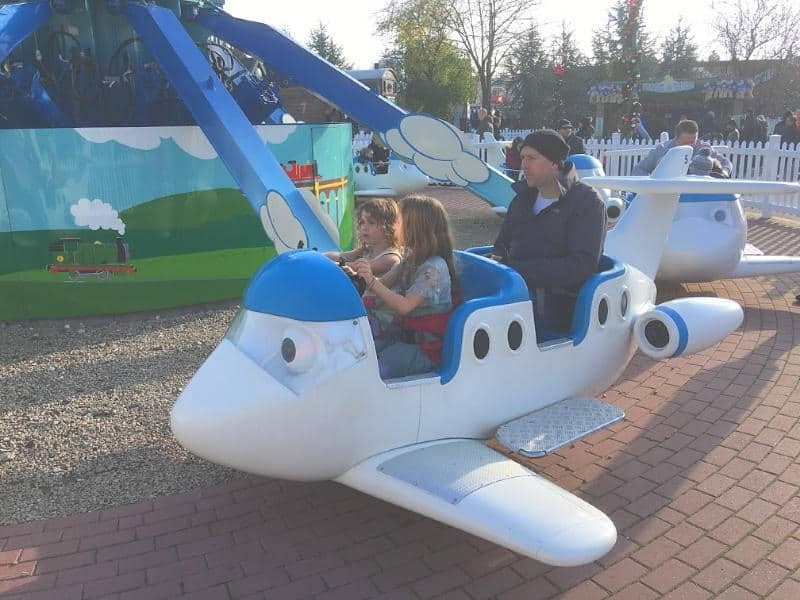 We were provided with a complimentary family ticket to Drayton Manor’s Magical Christmas in return for this review, but all thoughts and opinions are our own.